Linda Lile is a highly gifted and multi-talented practitioner. 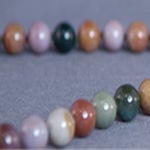 She brings to her teaching and practice a depth of experience in a number of healing modalities including Craniosacral Therapy, Gemstone Therapy, Trauma Resolution Work, Pre and Perinatal Psychology, Jin Shin Jyutsu and Qi Gong. She has been teaching Diamond and Gemstone Therapy Workshops throughout the U.S. and in Australia and Europe since the early 1990’s. 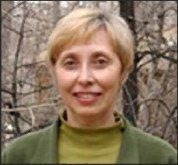 Linda holds a PhD in Psychology and an Advanced Diploma in Craniosacral Therapy. She has a private practice in Boulder, Colorado. Craniosacral Therapy is a gentle healing approach that returns the body to its natural biorhythms. The practice involves subtle body contact and restores health and a sense of well being. CS is highly effective in releasing emotional and mental stress as well as physical trauma from accidents, surgery and dentistry. Most clients find CS deeply relaxing and healing. Trauma resolution uses awareness of body sensation to help people ''renegotiate'' and heal their traumas rather than relive them. Supportive guidance into the body’s instinctive sensations or “felt sense” allows the autonomic nervous system to safely and gradually discharge highly aroused survival energies that have been trapped. Discharge of these energies frequently results in reduction or disappearance of traumatic symptoms. 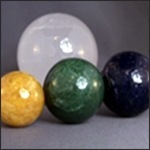 Gemstone spheres can open gateways to your inner worlds promoting deep and profound healing. Linda Lile is just amazing. She intuitively works with the gemstones to place just the right one. The sensitivity which guides her straight to the right place where healing is needed is just breathtaking. It was a pleasure and an honour for me to be treated by her and I looking forward to be treated by her again. Michael Katz, Internationally recognized authority on Therapeutic Gemstones, author of Gemstone Energy Medicine, founder of Gemisphere. 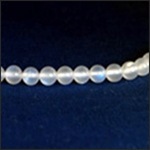 For centuries Gemstones have been esteemed as powerful energy tools for healing, transformation and upliftment. These hands-on workshops offer simple ways to work with Gemstones to support healing of body, mind and spirit. All workshops include demos, self therapies, optional partner work and more. 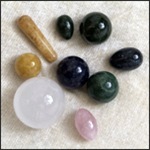 Therapeutic Gemstones will be available for loan and for purchase. An ongoing Gemstone Study Group meets monthly in Boulder. Please contact Linda for further information.